Dubai: Victory Team drivers Ahmad Al Hameli and Alex Carella will go out in search of some much-needed consistency as they try to move their way up the standings as the 2018 UIM F1H2O Powerboat Championships comes to an end in the UAE during the first half of this month. Team Abu Dhabi’s Shaun Torrente is the leader heading into this weekend’s Grand Prix of Abu Dhabi (December 6-8) followed by the traditional season-ender — the Grand Prix of Sharjah to be held on the Buhairah Corniche — from December 13-15. With the last two races left, Torrente leads the championship standings on 72 points from Stark on 65, Al Qamzi remains on 54, while Peter Morin the closest challenger in fourth with 39 points. Victory Team’s aspirations for challenging for the title this season got a setback from the start with mechanical problems as Al Hameli chases the leaders in eighth overall with 18 points, while four-time defending world champion Carella is in distant 11th with just nine points. “This is an understandable situation that we are in at the moment as everything has been new for us this season starting with brand-new boats and new drivers at the helm. Naturally, we expected to take our time to get used to these new situations. 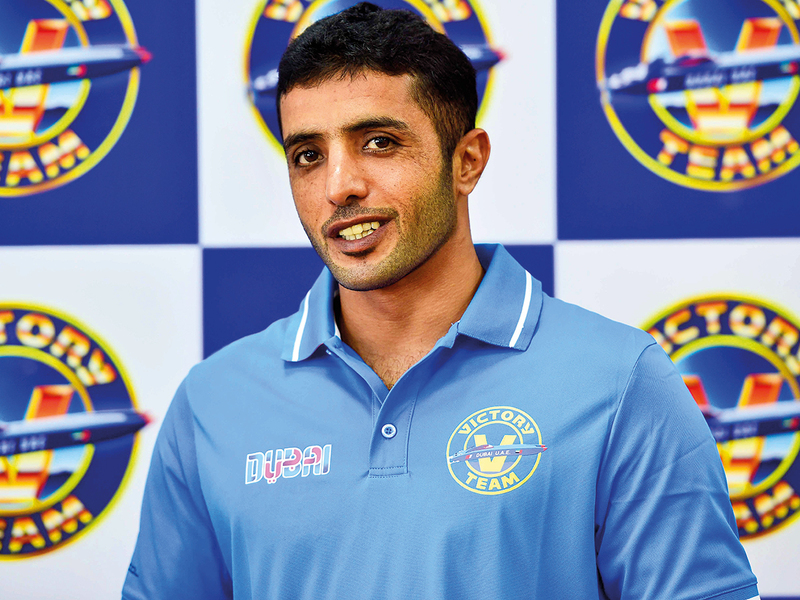 Our drivers have always been up to it and tried their best to bring in the results,” Huraiz Bin Huraiz, Chairman of the Board of Directors at Victory Team, told Gulf News. “It’s all in our hands now. We have had issues that are normal with the build-up of any team in any sport. But, we are hopeful of a future that can kick-start at least from the 2019 season,” he added. For the time-being, it is Team Abu Dhabi that has been the dominant force in Formula One with the outfit operating out of the Abu Dhabi International Marine Sports Club (ADIMSC) bagging eleven of the 15 available slots including three successive podium-lockouts in France, China and recently in Amaravati, India. Their American driver Shaun Torrente — formerly with Victory Team — leads the trio of Team Abu Dhabi drivers with three wins and a third place, while teammate Erik Stark tries to keep pace with two wins and a couple of thirds and Thani Al Qamzi in third with three third places. “We have two very experienced drivers, one of whom is the defending world champion. The bar is already set quite high and it will not be long before both Ahmed and Alex start delivering consistent performances,” Bin Huraiz hoped.